One of my all time favorite quotes states, “Why settle for being merely effective when you could be insanely awesome.” I have had to push hard and dig deep to overcome many physical, mental and emotional hurdles on my journey to the top. I am a mountain man at heart. 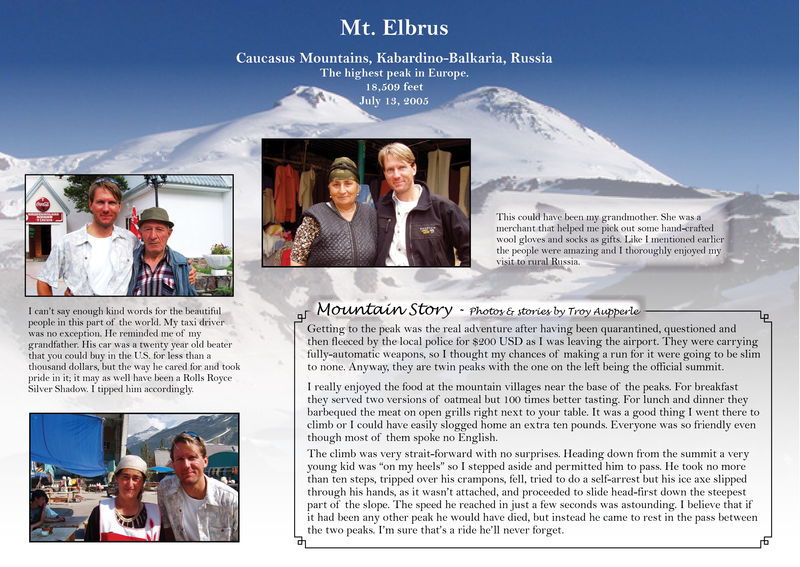 I experience a connection to the spiritual world while climbing that I seldom feel in the “lowlands.” I have quite literally climbed the highest mountains and touched the sky so to speak. I believe goals are important only if they are truly in line with what you love to do. 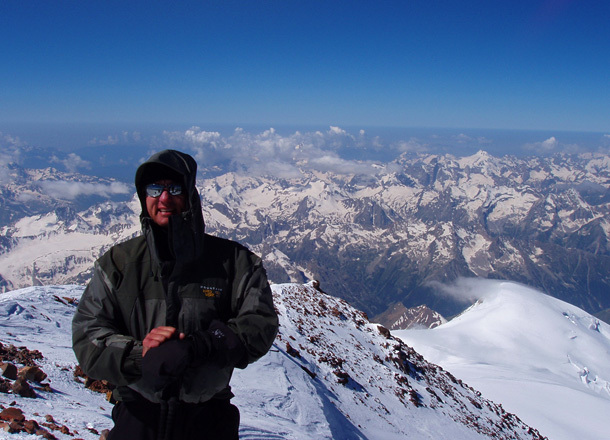 I love to climb, so climbing the highest peak on every continent was an obtainable goal. Just like my climbing goals, introducing enzymes to the world will also be accomplished because of my love for them. I have to confess that I’m wild… about enzymes. There is hardly a waking hour that passes that I don’t think about or ponder on some aspect of our enzyme world. It’s as if I’m wearing a pair of rose-colored enzyme glasses. Everywhere I look I see enzymes! They are the most magical of all substances known to mankind and yet we are almost completely ignorant of their presence and potential. I believe enzymes are the sole (soul) connection between the physical and spiritual worlds. 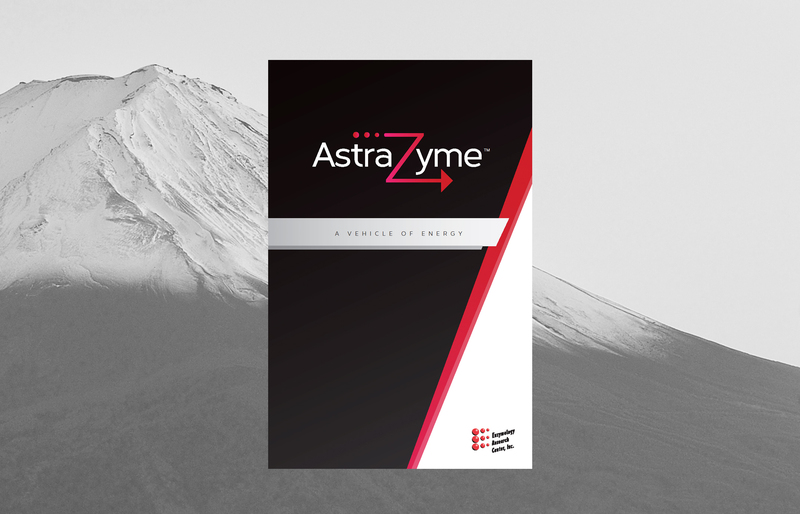 Read this e-book to better understand the powerful ingredient of AstraZyme™. The information contained in this publication was written to explain how AstraZyme™, a proprietary and clinically proven combination of enzymes and herbs, takes the digestive and absorption of protein to its highest level. I rank ERC in the top 1% of Dietary Supplement Companies. Very neat & orderly, well organized, many signs of intelligent thought given to the management of this company. I thoroughly enjoyed my visit! I was very impressed with you (Troy) and Tammy and your facility. My career requires that I interact and tour many different companies in the nutrition industry market space. As customer standards increase more rapidly than even industry/regulatory standards, it is imperative that anyone who wants to be successful in this category do all they can to stay focused on exceeding customer expectations. As a key supplier to ERC, this places us in the interesting role of supporting the extremely high standards they have placed upon themselves. In every aspect of their business, from purchasing to facilities to accounting they have clearly differentiated themselves from many within the industry. It is always a joy to tour their facilities, including ERC’s research facility in Miltona, MN, because their attention to detail shows through the shine of the equipment. We are proud to support ERC’s continued growth and their push to improve the Industry as a whole…. Account Executive, Stauber Performance Ingredients, Inc. I spent a week at the ERC facility in Miltona MN, assessing the company’s compliance to the new 21 CFR Part 111 Dietary Supplement GMP regulations, and providing the company with ideas to close any gaps I identified. The company impressed me with the level of compliance measures they had in place and their genuine desire and willingness to do the right things to ensure their products were produced to meet or exceed specifications and requirements. I have recommended ERC to several of my other clients looking for a contract manufacturing firm capable of meeting their high level of quality requirements and have nothing but confidence in recommending ERC. © 2011-2018 Enzymology Research Center, Inc.